Zi Shan' mom mentioned that she likes orange, pink and purple colours. The rest of the design she leaves to me (thank you for your trust). 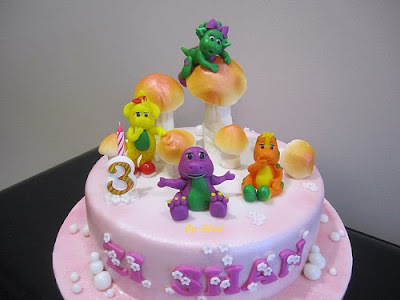 Here's the mushroom land for Barney and friends.